Continuing the series of articles on the Rakuten Affiliate Network interface, today will be centered around adding banners. 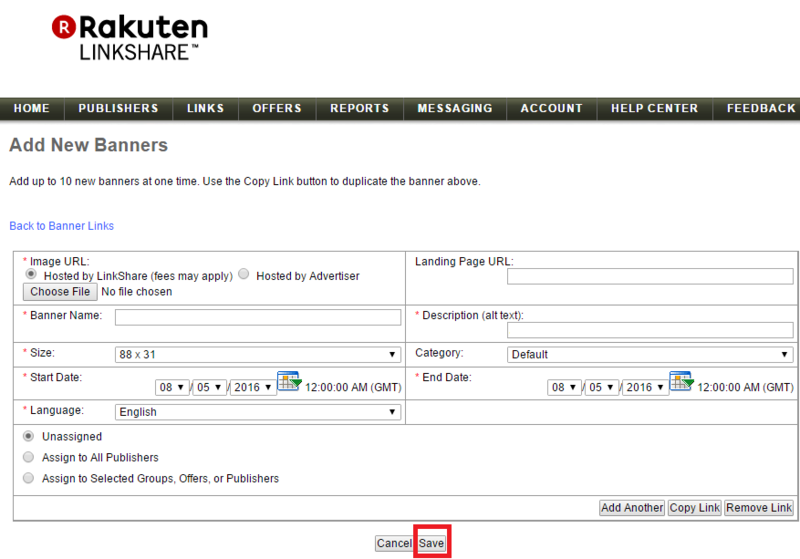 We are back discussing links, but more specifically, how to add banners to the account for affiliates to use. A step-by-step guide will be outlined to complete the task of uploading banners in your Rakuten Affiliate Network account. 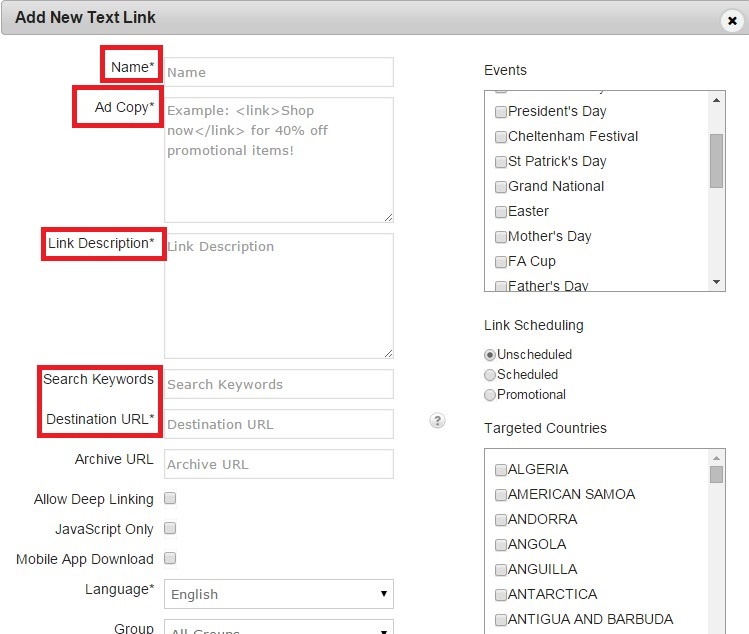 In a similar way to adding text links, you will click the “links” button in the main navigation. 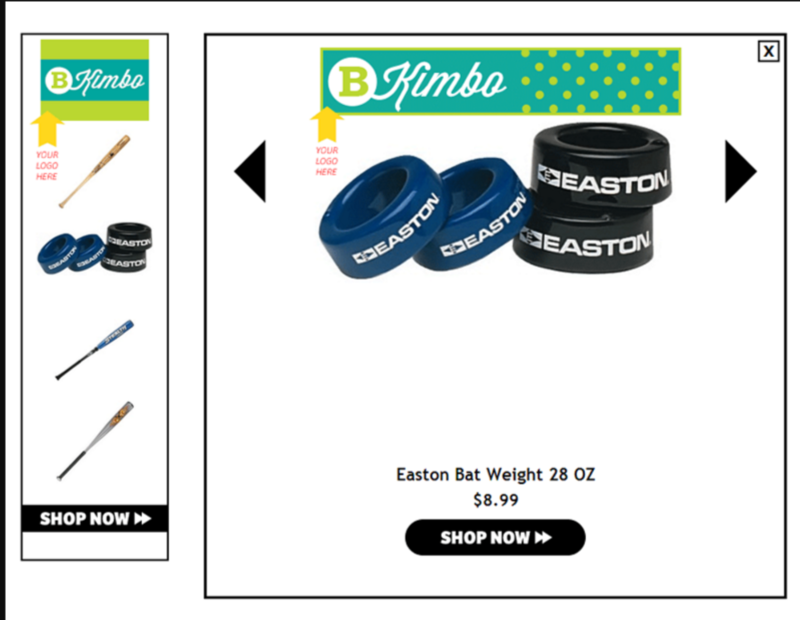 You will be shown all the different types of links available, then click “banners”. You have the option to add banners manually or import them via a csv file. Click the “add new banners” button. If there are any banners currently in your inventory you have the ability edit them here too. This is part where you add the details of the banners. You have the option to host the banners on your server or have RAN (Rakuten Affiliate Network) host them, the choice is yours, but fees may apply if RAN hosts them. First, choose the banner file you want to load, name the banners (e.g. Labor Day Sale – 250×250), landing page URL (could be homepage or a specific dedicated page to the sale), size of the banner, start and end date, and who the banner will be assigned to. You can assign the banner to all affiliates, a group, or individual affiliates (just like text links). If there are multiple banners to upload simply hit the button “add another”. It will add another box where you place the details of the banner, just like you did with the first one. You do that until all the banners have been input and hit save. 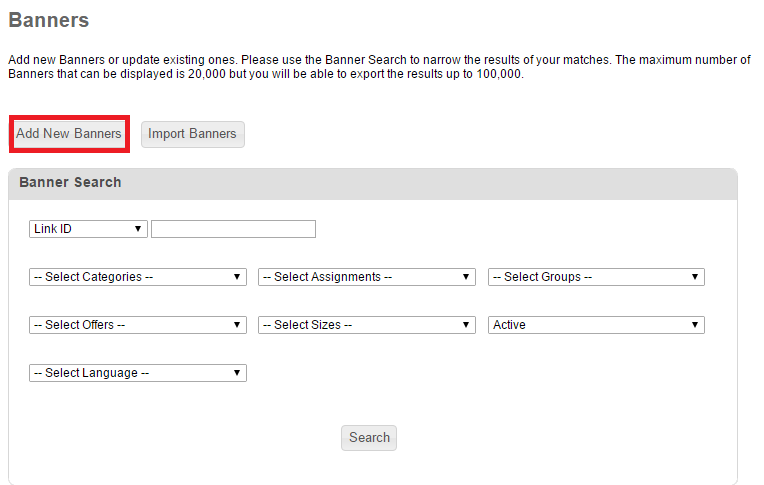 You will then be directed to the entire live inventory of banners to view and edit if necessary. Another quick guide to navigating the Rakuten Affiliate Network interface is complete. Providing creatives to affiliates is a must do task, but also must be done correctly. If you are having trouble with what sizes to create please ask me in the comment section and I will provide a list of popular banner sizes. 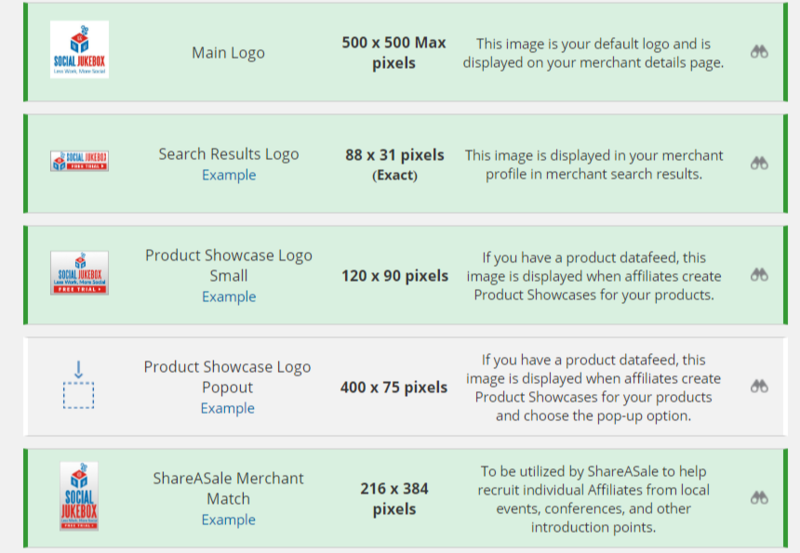 As I mentioned in my last article on adding creatives to ShareASale, having a nice selection for affiliates to use is essential and optimal. Allowing the affiliates to choose which banners or links to put up will allow them to market your products more effectively. Recently I have set up and launched a number of affiliate programs on CJ Affiliate By Conversant and I thought I would provide a step-by-step guide to uploading creatives to your program on CJ Affiliate. Step 1 – Locate the Links tab on the Main Navigation Menu of the Merchant Interface. Once logged in you will need to click on the “Links” tab to begin the process of uploading new creatives (banners/text links) or modifying current creatives. Click on the “Add New Link” button, a drop down menu will appear and you will then choose which new link (or banner) you want to upload. As you can see in the image below you have a number of options as it pertains to creatives, but for the purpose of this tutorial we are going to focus our attention on text links and banners only. Depending on what type of creative you are uploading you will then make the appropriate selection, either text link or banner. You will want to give your link a name to differentiate it from others, as well as include the ad copy, a description, relevant keywords for affiliate to search with, a destination URL, and filling in the other fields shown in the image below. Make sure to include as much information about the link as possible in order to get full optimization with your affiliates. 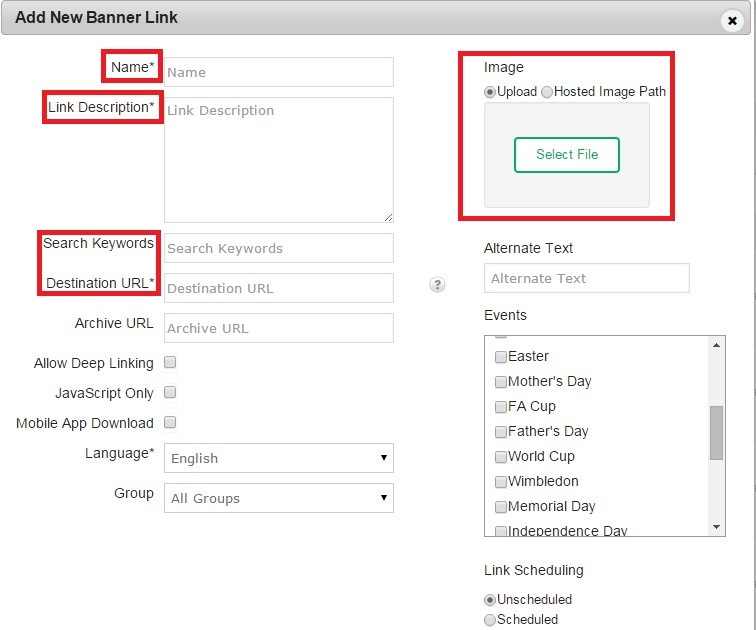 Similar to uploading text links you will want to name the banner, provide a description, include a destination URL, search keywords, and most importantly upload the banner. You will want to repeat the same process for each additional banner and text link. Unfortunately, CJ Affiliate does not have a mass banner/link option like ShareASale does, but it is still a straight forward process that is essential in daily affiliate program management. Whether you have an affiliate program on CJ Affiliate, ShareASale, or another network your creative inventory should be taken seriously and showcased in professional manner.